Want to submit your awesome stuff as a guest and get it featured in the gallery ? 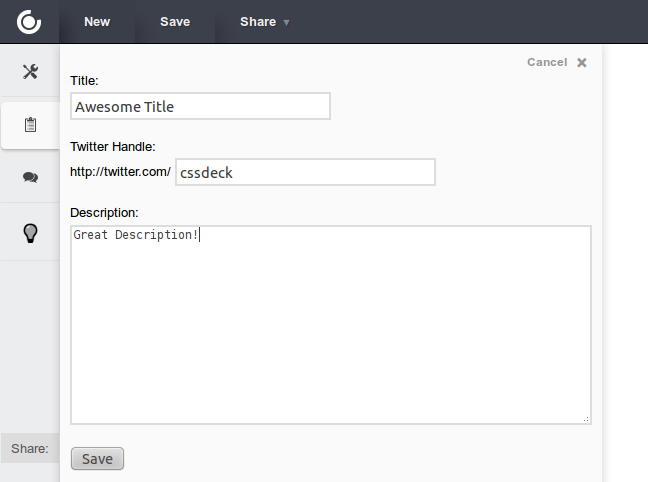 Now you can just create your item as guest and add your twitter handle to it. If it's good enough, then we'll feature it in the gallery page. Your twitter name will show in place of the author name and it'll link to your twitter profile.